Affiliate marketing has been chosen as one of the top two revenue generators for publishers. 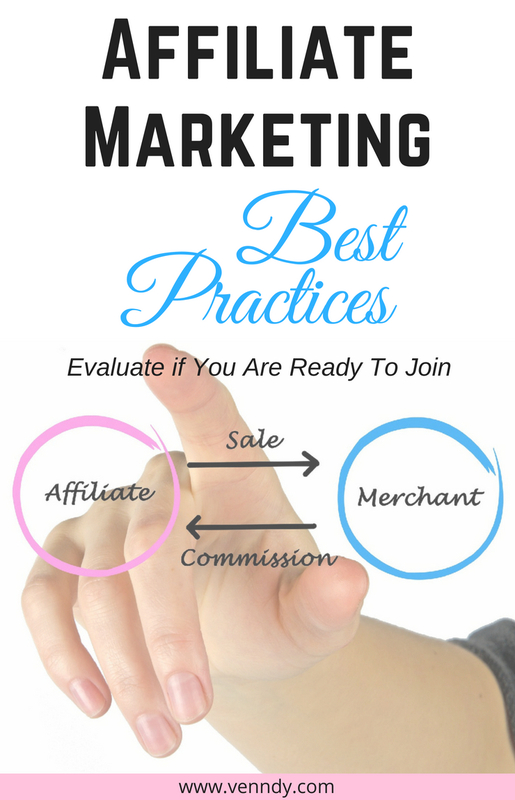 To learn more about the Basics of Affiliate Marketing, When Is the Right Time To Start Using Affiliate Marketing and the Best Affiliate Networks for Beginners check out our Affiliate Marketing Guides. If you have a blog or a website with established high-quality content and constant traffic, then you will probably have no problem being accepted to any affiliate network you apply to and any programs you want to promote within the network. If you have just started out with your blog, your application will need to be vetted by the network’s compliance teams, and while the ones suitable for beginners do not require a page view minimum, they do require several examples of high-quality engaging content. So make you are well prepared. You don’t need too much, but make sure you have at least a few posts and mention your motivation and plans for growing. Even if you are approved by the network, there will still be programs (brands, retailers, merchants, advertisers) that will not approve your application as they do require minimum page views or content that is specifically related to their niche. If you don’t have a blog, you can still join a few affiliate networks such as ShareASale and AWIN, as they accept anyone with a website or social media profile in English. Page views or number of followers are not so important, but they do look for content which is consistent, high-quality, no hate, no adult, etc. Pinterest, Instagram, Facebook, YouTube, Twitter, and VENNDY among others, can all work in an application. For social media they will review each profile on a case-by-case basis to ensure that the profile is producing high-quality content with high audience engagement. They may allow someone with only one social media account, such as Pinterest, to join. However, once you are approved, you will still need to apply to each individual advertiser program and be accepted by each of them. While the network may accept Pinterest-only accounts, some of their advertisers will not. Disclose all your promotional channels – In the affiliate network’s profile, you should link to whatever social media channels you will use to promote the advertisers. This way the advertisers will have full insight into all your promotional methods. The restrictions regarding where you can insert affiliate links is based more on the guidelines of specific brands. Each advertiser has their own set of terms and conditions: some will allow all social media, some will allow only certain platforms, and some will not allow any social media. Always comply with the affiliate network’s terms and agreements – Each network has its own terms and conditions. Some, for example, allow email marketing while others don’t. 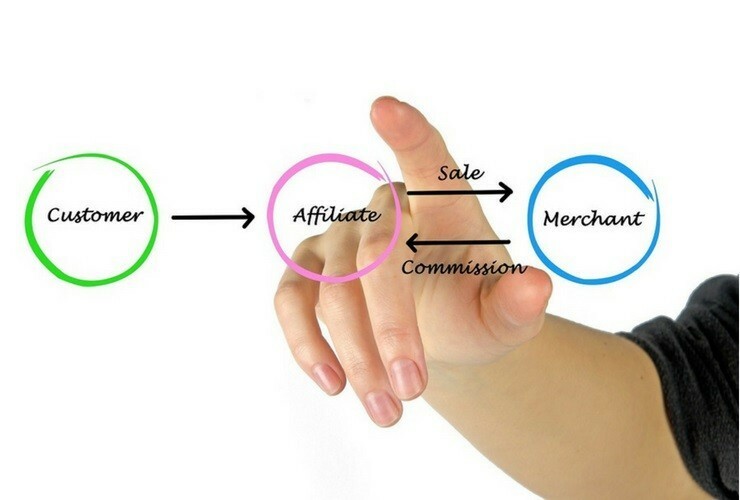 Another example is that networks may require the affiliate link to take the user directly to the merchant and for it to be very clear that the publisher is being compensated by the merchant as an affiliate partner. Always disclose the use of affiliate links – Make sure to include FTC disclosure and comply with GDPR regulations or any other requirements in your country or in your audience’s countries. Here are some guidelines for affiliate disclosure required by the FTC. For a broader discussion we suggest you read what people are asking about in THIS FTC link. Placement – The disclosure should catch readers’ attention and be placed where they aren’t likely to miss it. It should be placed before your affiliate links and cannot be at the bottom of the post or somewhere else where readers need to go look for it actively (such as using a hyperlink). You have to include the disclosure on every page where you have affiliate links. A single disclosure on your home page will not do! Wording – There is no special wording required but the disclosure should be brief and worded in a way that’s understandable to the ordinary reader. Ambiguous phrases are likely to be confusing. Appearance – The disclosure should use a simple-to-read font with a contrasting background that makes it stand out. In terms of geographical location – You should sign up for whichever programs best align with your audience’s whereabouts. When joining early – The downside of joining early is that merchants have the ability to approve and decline applications themselves. You must apply to join the specific programs you want to promote, and merchants may have specific guidelines for reviewing applications. Both ShareASale and AWIN have no time constraints for making a sale. However, if you join before your site is live or before you have a healthy stable amount of content for them to review, your application may be put on hold. 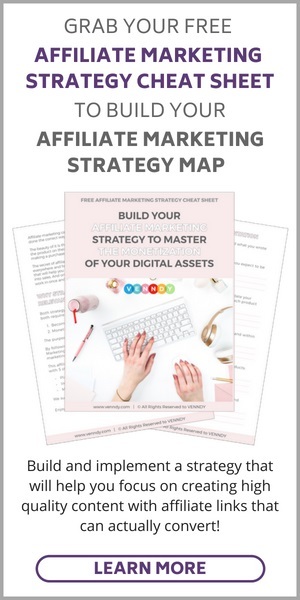 Once you have some content, you will need to contact them again so that they can accurately assess how you are planning to promote their advertisers . 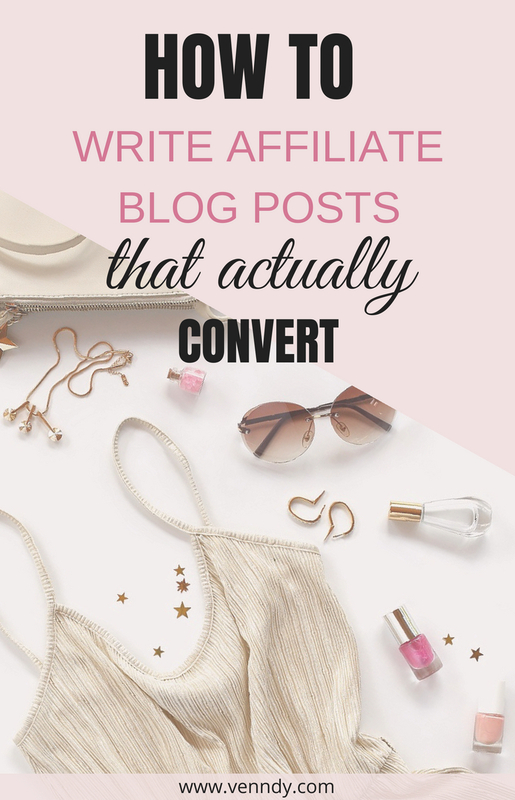 Here are some guidelines that will help your content convert better (check our blog post How To Make Affiliate Marketing Work and Succeed as an Affiliate in Any Niche for a fuller discussion). Choose your promoted products wisely – Promote products you either know and love or ones you know well enough to recommend to your audience. Explain the benefits – Highlight the pros and cons, how the product can help them or why they need it. Share your personal experience – Give examples, thoughts, and opinions supported by a background story. The aim is to help your audience relate to your experience, so they can assess whether it’s a good fit for them. Convey transparency – Be genuine and provide your audience with valuable insights. This is a good way to build trust and increase conversions. Share factual information – Use supporting examples and proof, give numbers whenever relevant. Engage and build connections – Be open to other opinions, views, and suggestions and allow for questions and comments. Create content that best works with affiliate marketing – Use review posts, tutorials, DIY, travel destinations, and round-up posts such as "How to,” "Best of,” and ”10 best.” These are great for creating clickable links with products, materials, places, and recommendations that can include affiliate links and can be changed, updated and upgraded periodically. 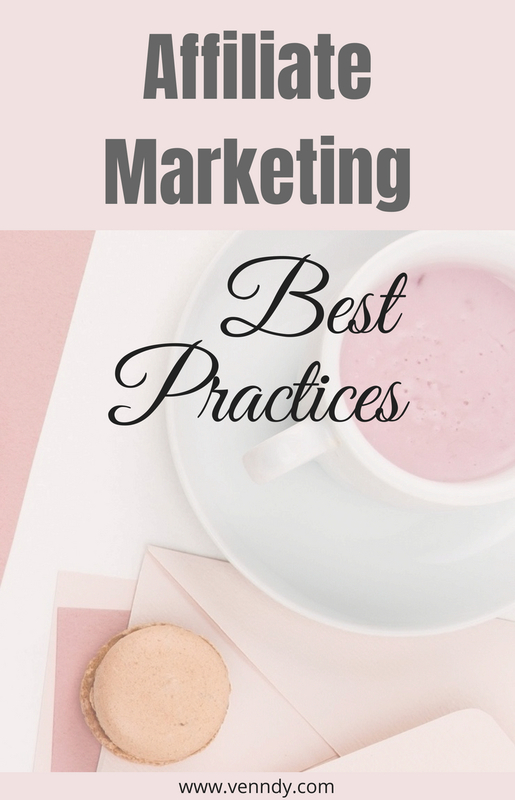 Don’t miss the other Affiliate Marketing Guides as well as the other best practices guides for Instagram Best Practices and Pinterest – Best practices.